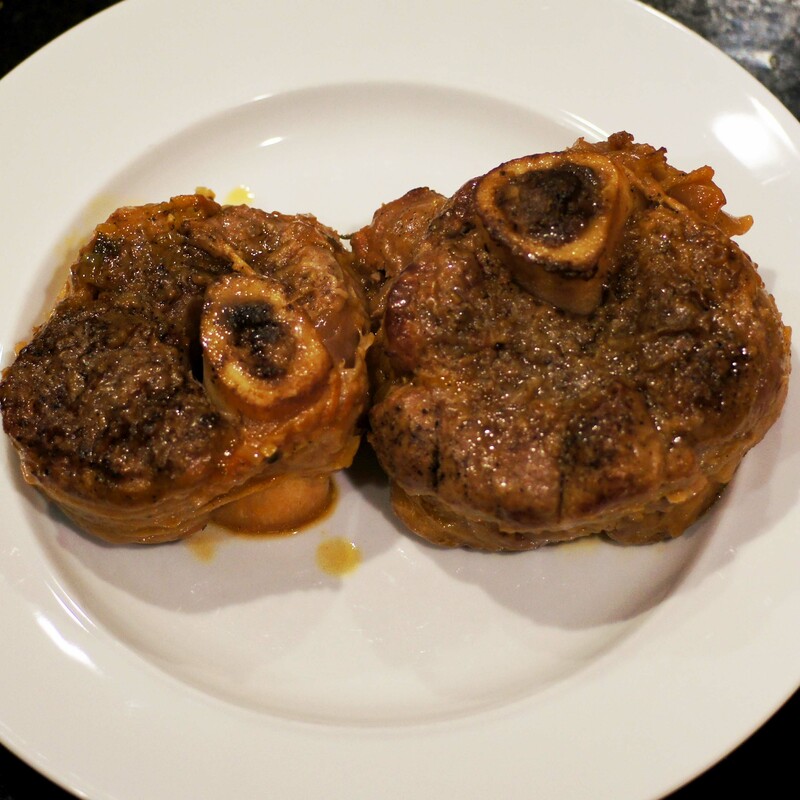 Osso Bucco, literally “hole in the bone,” is another wonderful meal for these cool winter nights. Serving it over some gorgonzola polenta takes it to a completely different level. Mmmm good. It definitely hits the spot. 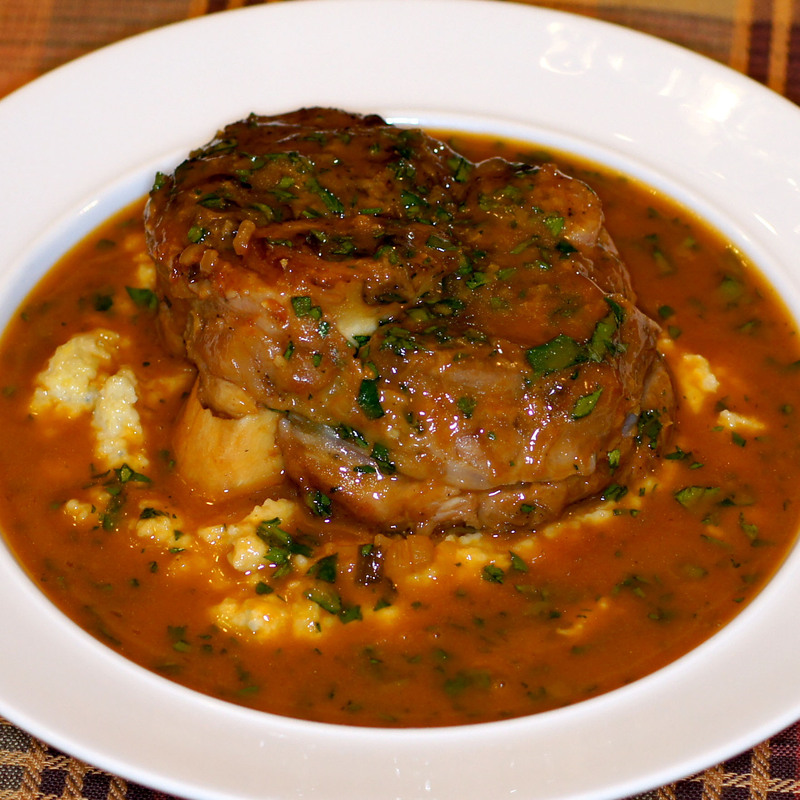 Osso Bucco is one of my favorite dishes. I love the fall off the bone tender meat, the luscious sauce that it forms while braising and the unctuous bone marrow in the hole in the bone. It’s just an amazing combination. As most of you know, Baby Lady doesn’t eat red meat. 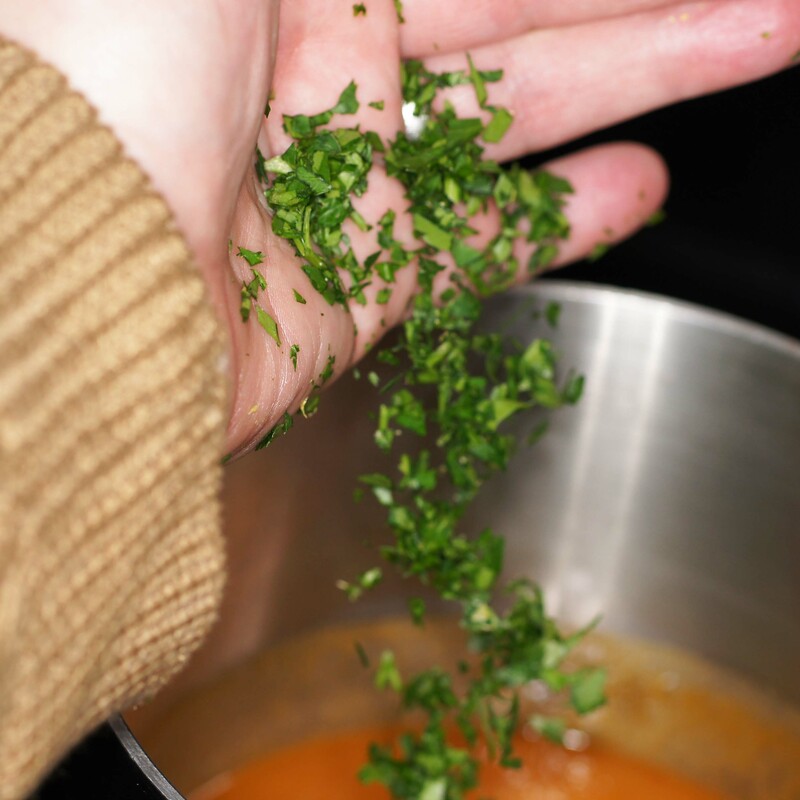 This is why we don’t do a lot of beef or lamb recipes on the blog. We fix lamb and beef dishes when we have the kids home, when we have guests over for dinner or when Baby Lady has to travel for work. This is one of those occasions when Baby Lady was traveling. Her work took her to Springfield, Mo. in early December. It was at the same time DFW and much of the rest of the Midwest experienced Icemageddon. When ice hits the DFW it cripples the area. We don’t see a lot of severe weather. So, we don’t have a lot of snow moving equipment. Also, ice is a little harder to clear. The net out was that Baby Lady got snowed in and couldn’t leave Springfield and I got iced in at the house. Now, I don’t handle Baby Lady traveling very well. I always miss her. Phone calls and FaceTime help but I’m really a big baby when she’s not at home. There really aint no sunshine when she’s gone. So, when she’s gone, I fix things I generally don’t fix when she is here. Being iced in, however, made things difficult. 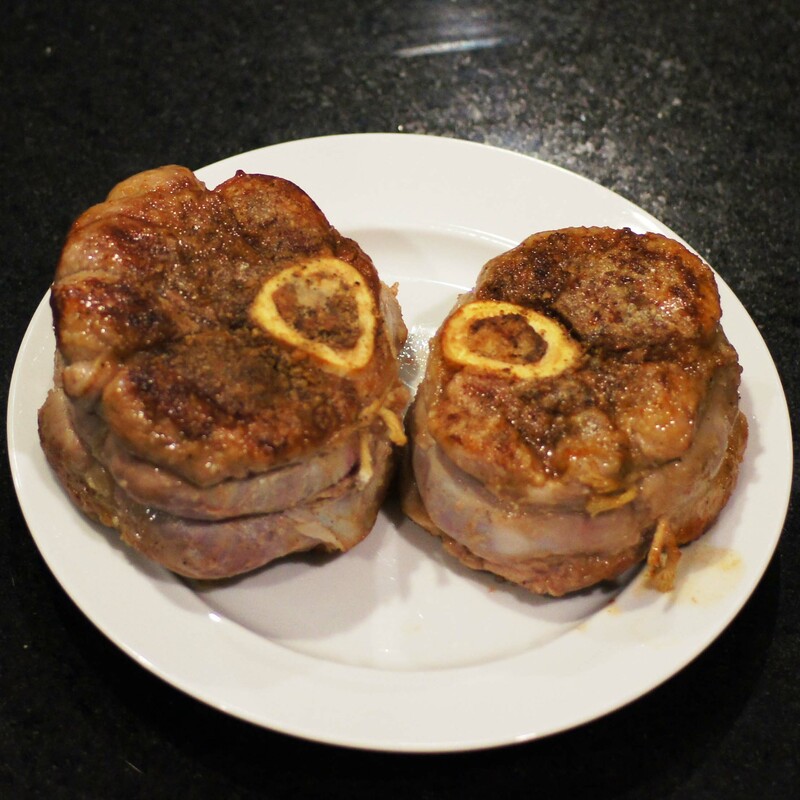 Then I remembered I had 2 beautiful veal shanks in the freezer I had purchased specifically to make osso bucco. There was no better time to make it. So, this is what I did. Pre-heat oven to 325 F. Now, trim the veal shanks’ outer membrane so they won’t curl on you as you braise them and tie them with kitchen twine. © 2013 REMCooks.com – notice the double loop technique. This is when you have nobody to put their finger on the twine to keep it from slipping. 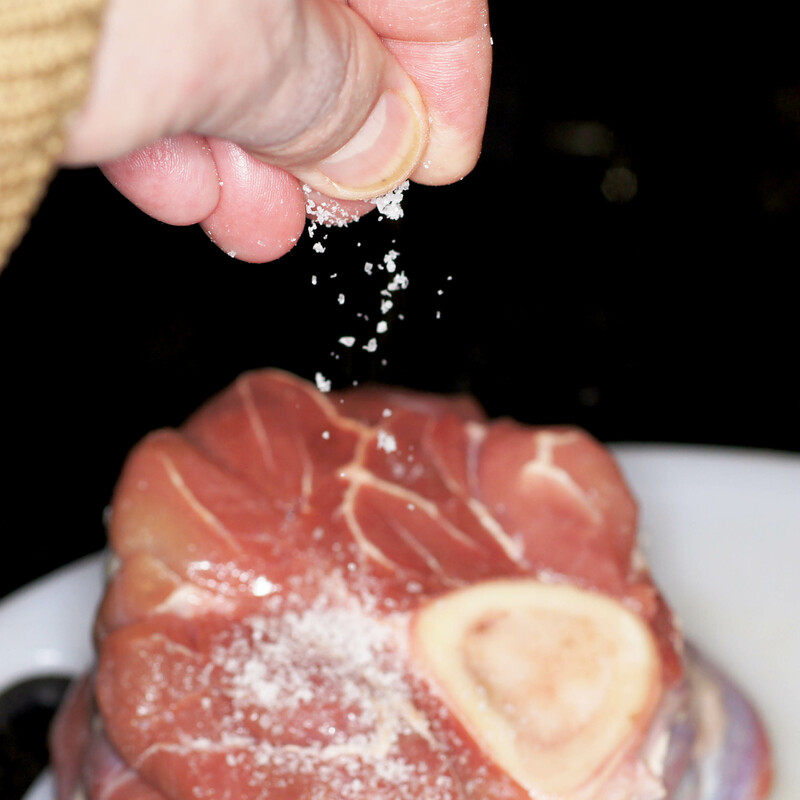 Season veal shanks with salt and pepper. 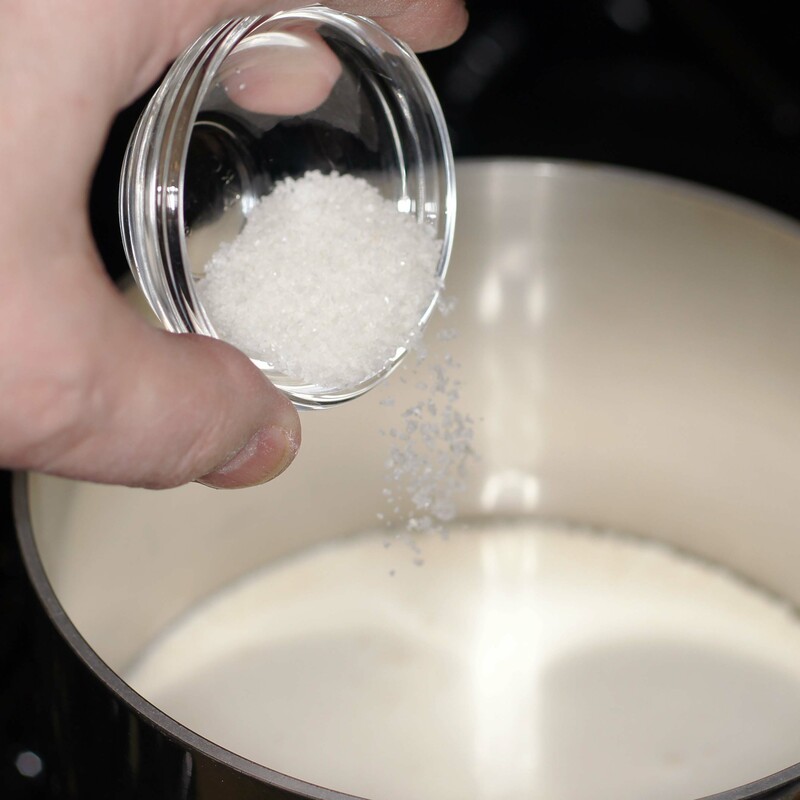 Put flour on a plate, dredge shanks in flour, shaking off excess and transfer to a plate. 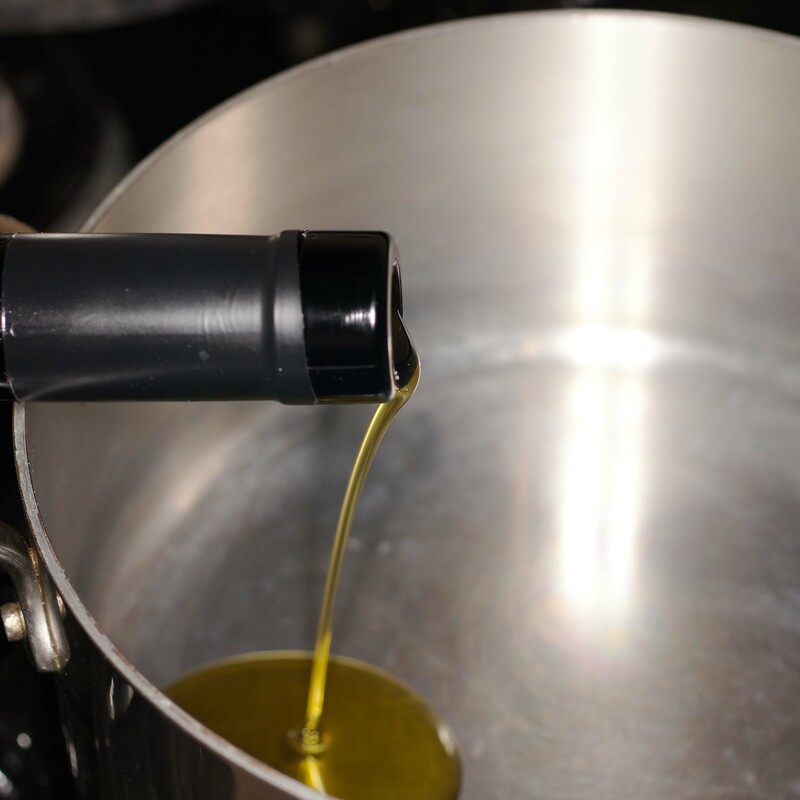 Heat oil in a 6-qt. dutch oven over medium-high heat. Add veal shanks and cook. 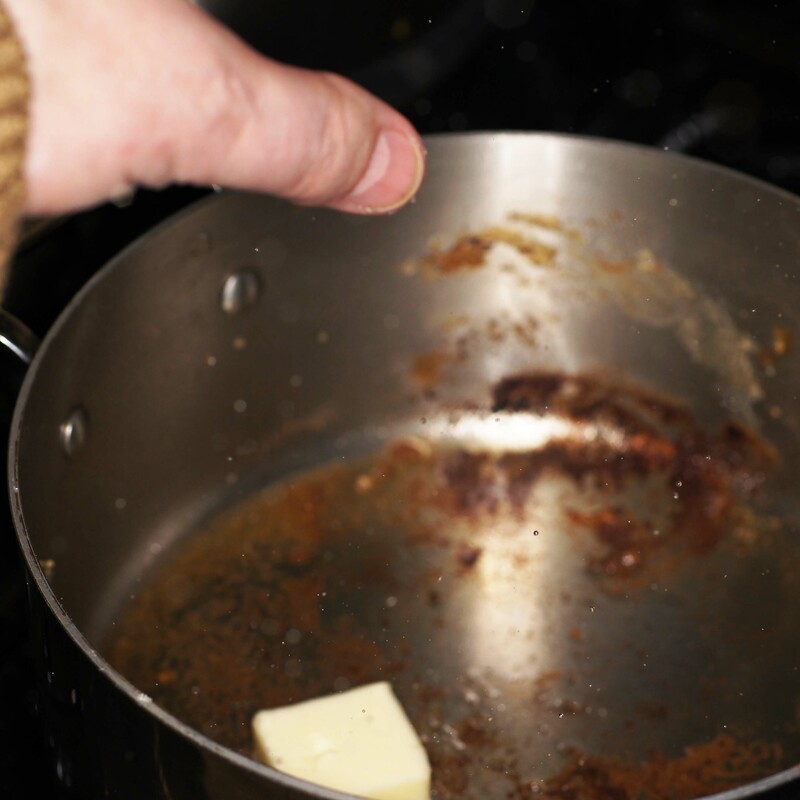 When browned on bottom, flip and cook until browned. Total time is about 10 minutes. Transfer veal shanks to a plate and cover with foil until ready to braise. 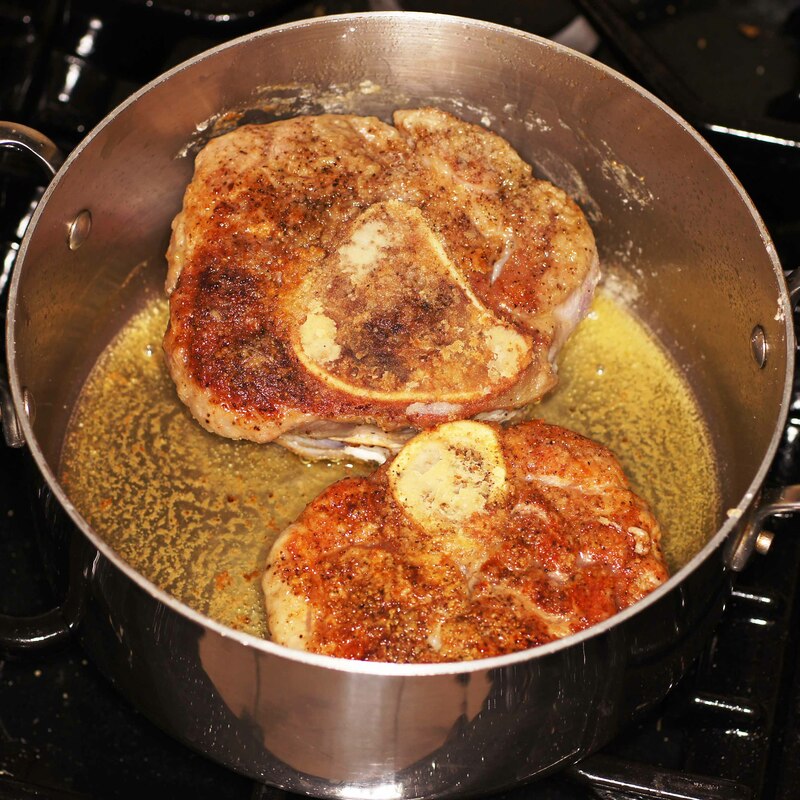 Bring to a simmer, season lightly with salt and pepper, cover and place in preheated oven until the veal is nearly falling off of the bone. This will take roughly 90 minutes. When tender, transfer veal shanks to a plate and cover with aluminum foil. 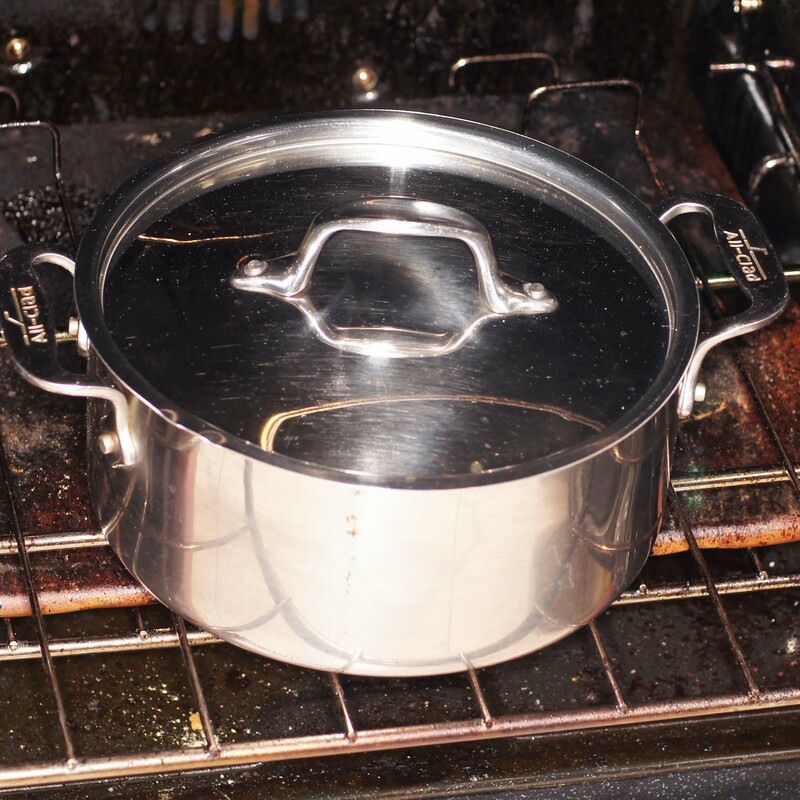 Heat pot over medium heat, reduce liquid by half and strain veggies from sauce pressing on veggies to extract all flavors from the veggies. 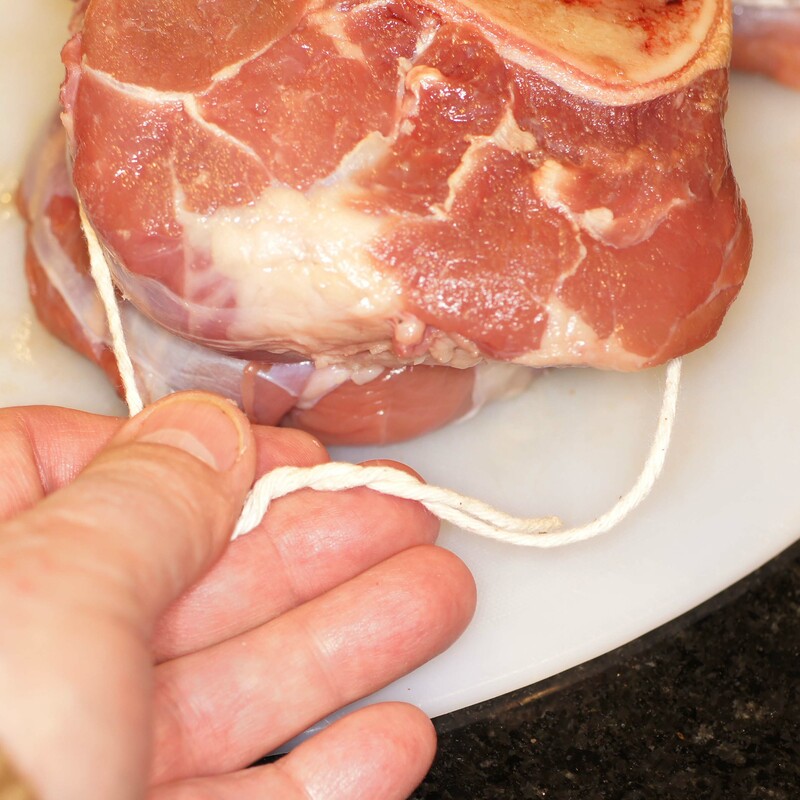 Transfer veal shanks back to pot over very low heat, spoon sauce over the top, and cover to keep warm. While the veal shanks are cooking, make the polenta. You have lots of time and you really want the polenta done by the time the veal shanks are done. The polenta will hold in the oven, if needed, to stay warm. and bring to a boil. 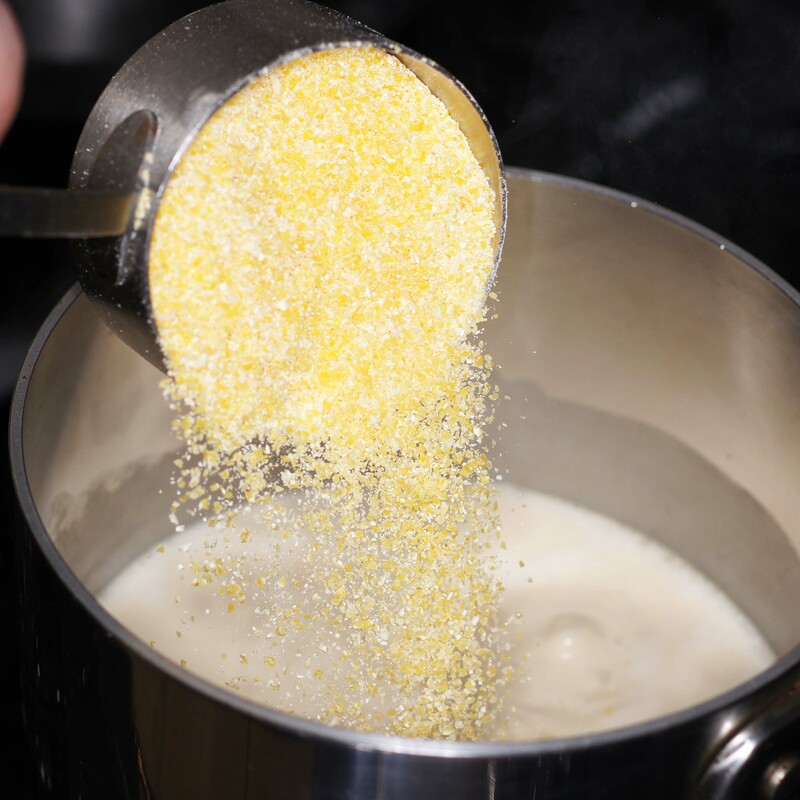 Add polenta to boiling liquid and decrease heat to low. 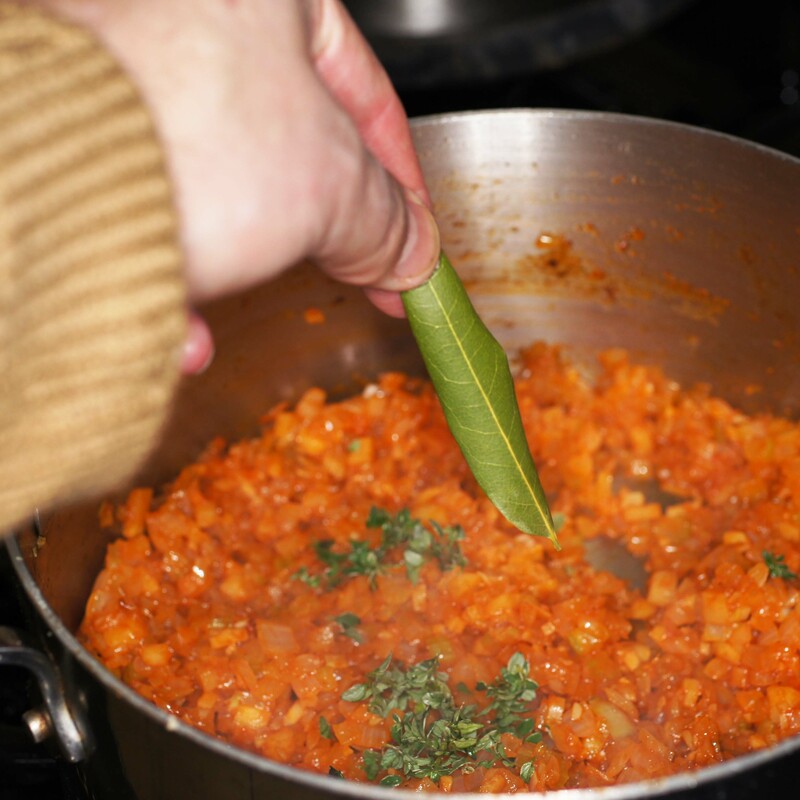 Allow to cook on low heat for 30 – 40 minutes, stirring frequently, until the polenta becomes smooth and tender. You may need to add more liquid in the process. When the polenta is creamy, smooth and tender, add the gorgonzola. Spoon a serving of polenta in the middle of a dinner plate and place a shank atop the polenta. Don’t forget to set a small spoon for those who like the bone marrow. 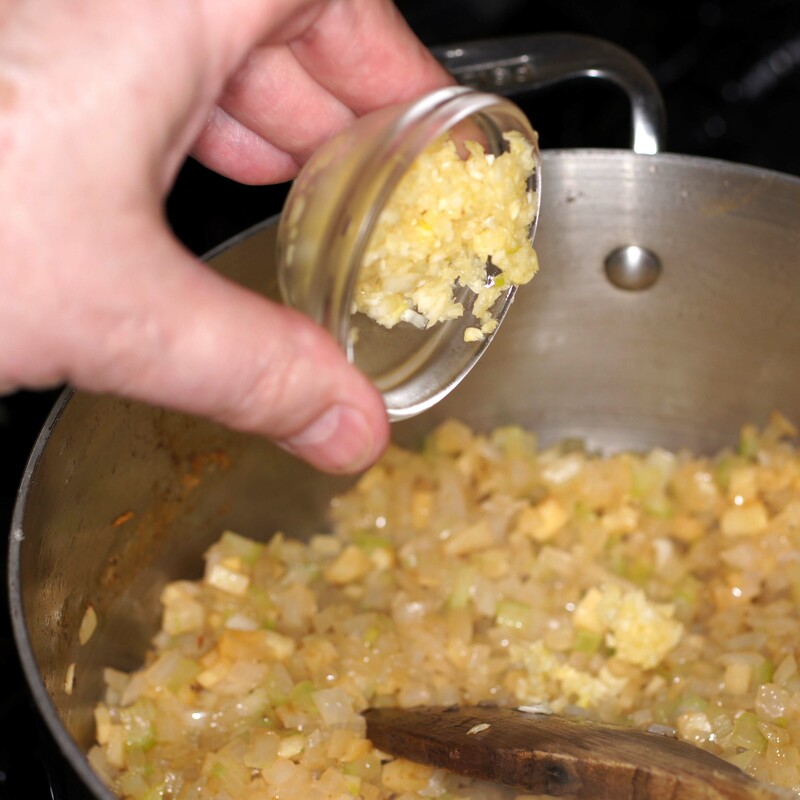 It is a very beefy, unctuous treat that goes well with bread on the side or mixed with the polenta. NOTES: Osso bucco uses carrots as opposed to parsnips. Sadly, Baby Lady hates cooked carrots (except in jalapeños en escabeche) so I generally don’t keep them in the fridge. Instead, I substitute its cousin, the parsnip. It’s not the same but it does work. 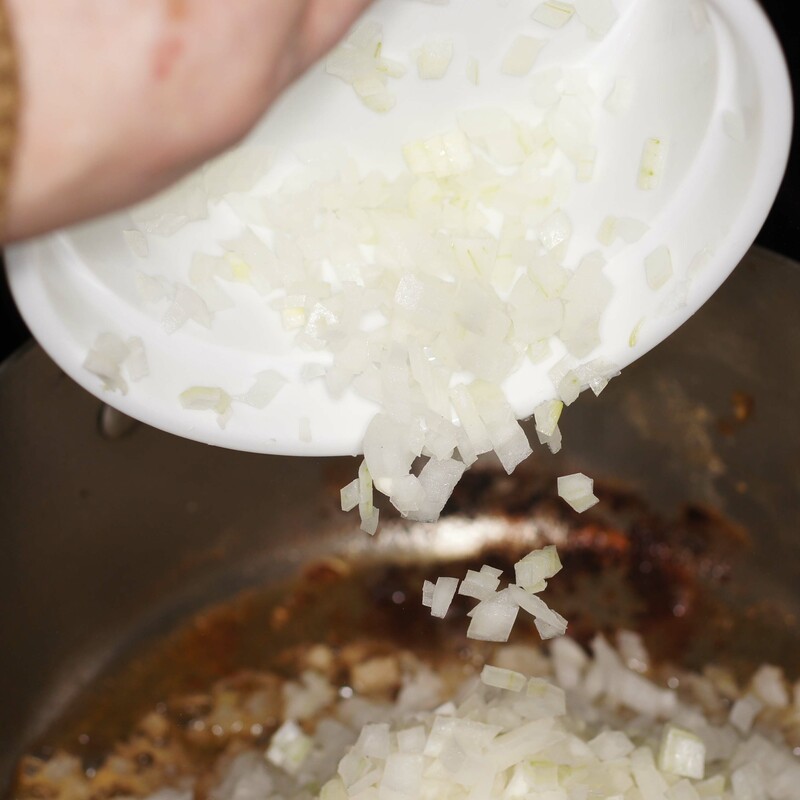 Also, you can use beef stock in this recipe; however, I have a general disdain for commercially available beef stock (see why here) and won’t use it. 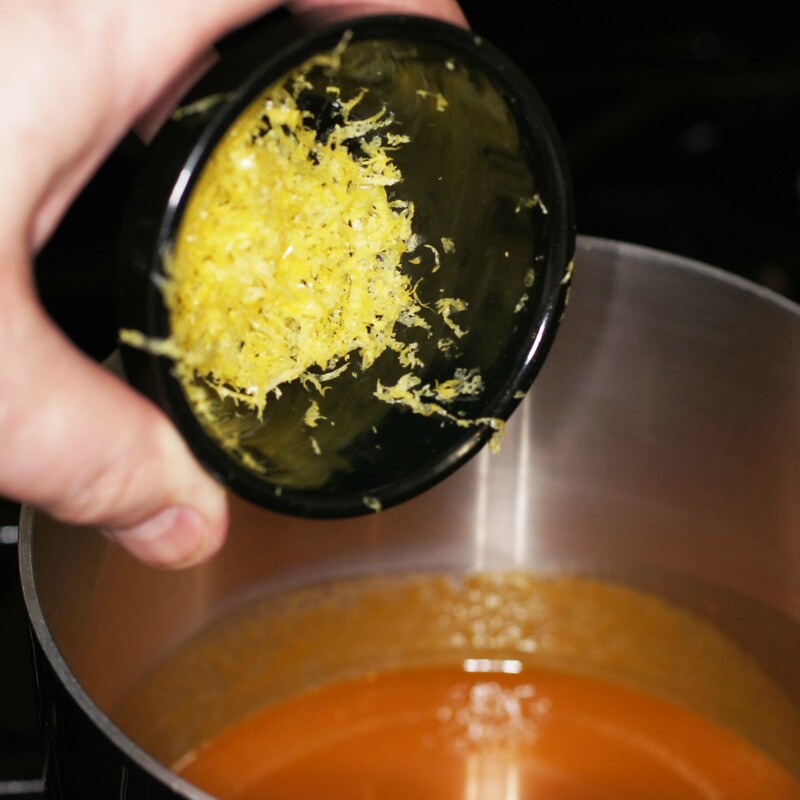 Homemade beef stock is overpowering for this dish; so, I generally use homemade chicken stock. Veal stock is ideal; however, that is something I don’t buy or keep on hand. 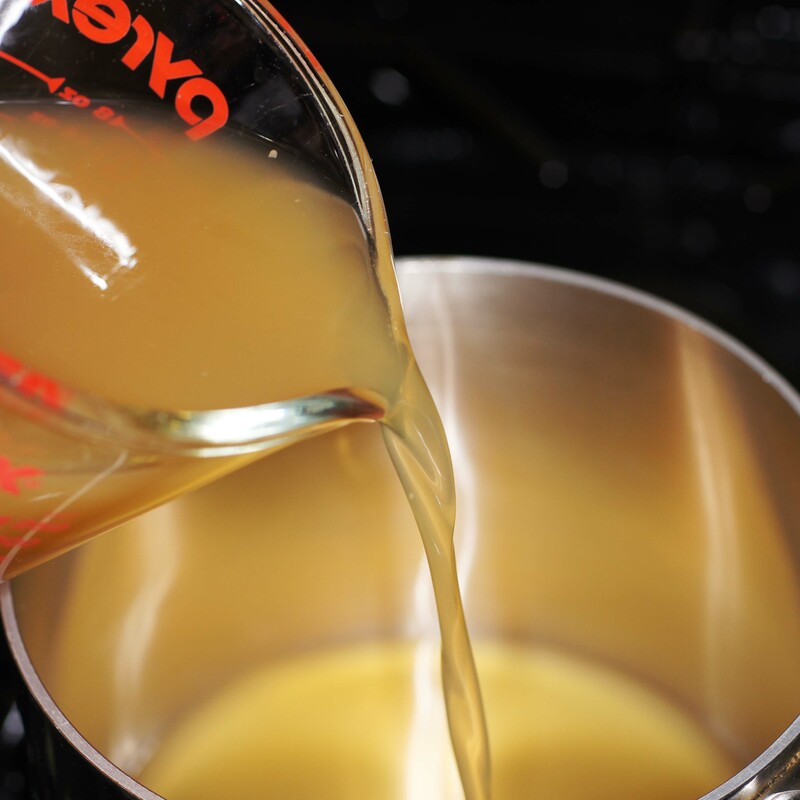 In this instance I actually used homemade turkey stock because of its slightly stronger flavor and I had a lot of it from the Thanksgiving turkey. About an hour back I told Stefan in all honesty his eel dish was my favourite of his for the year ~ still true but your osso buco has inched itself next to said eel! ‘Tis always been ‘my’ party dish an have oft cooked it with polenta, but never without the ‘holy trinity’ for the ‘buco’ and never with gorgonzola in the polenta! Definitely have to try the latter and perchance the former . . . thank you SO much for ‘I did it my way’ 🙂 ! 😀 Hi, Eha. The only reason I didn’t use the “holy trinity” was because I didn’t have carrots in the fridge. Baby Lady won’t eat carrots (except for jalapeños en escabeche) so I typically substitute parsnips for carrots. Hence, I actually had parsnips in the fridge and used them for the carrots in a mirepoix. Driving was simply not an option given cars in DFW don’t have snow tires or chains and the roads were seriously iced over. Otherwise, I would have gone to the local market and purchased carrots. As for the gorgonzola polenta, you definitely need to give it a try. It is fabulous! It also was a perfect accompaniment to the osso bucco. Oh Richard, don’t get me wrong! You have given me a wonderful new idea, ’cause I happen to love parsnips and next time I make the ‘buco’ shall use your recipe but exactly!! Even if I have all else in the house 🙂 ! Happy beginning to the New Year for Baby Lady and yourself in case we do not ‘talk’ in the interim!! Great looking ossibuchi, Richard! You did an exxellent job of browning them. 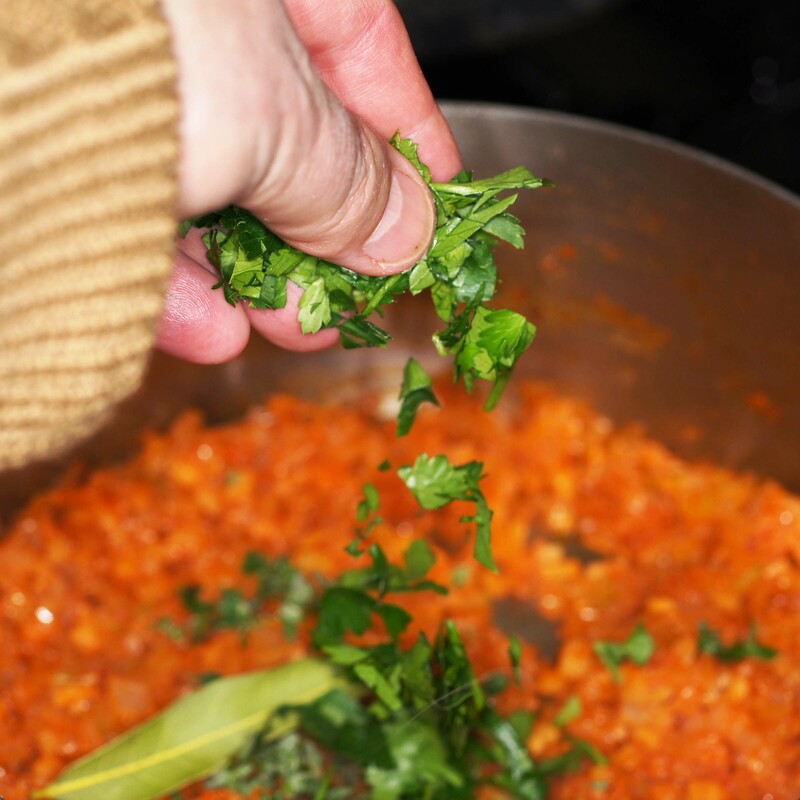 Interesting that you sieve the sauce and mix in the gremolata (I also prefer that to sprinkling it on the meat). 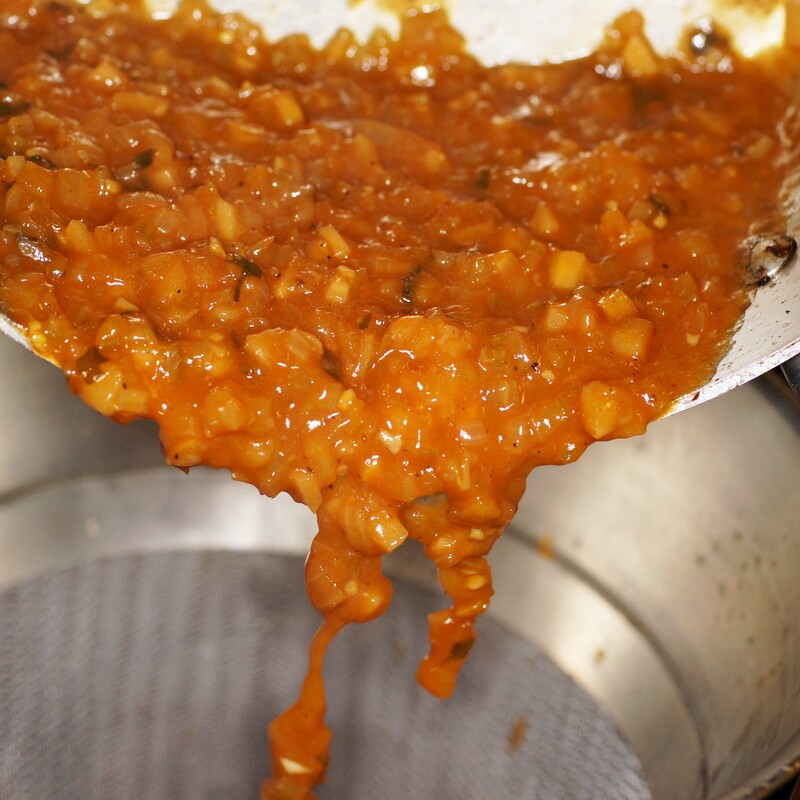 From the 1 Tbsp of tomato paste in the list of ingredients I thought you were making it the traditional way (with very little tomato), but it looks like you added a bit more from the photos. The traditional side is of course saffron risotto, but I can see why with Icemageddon you liked it with the gorgonzola polenta. I’m not a huge fan of polenta, but with gorgonzola it’s very nice. 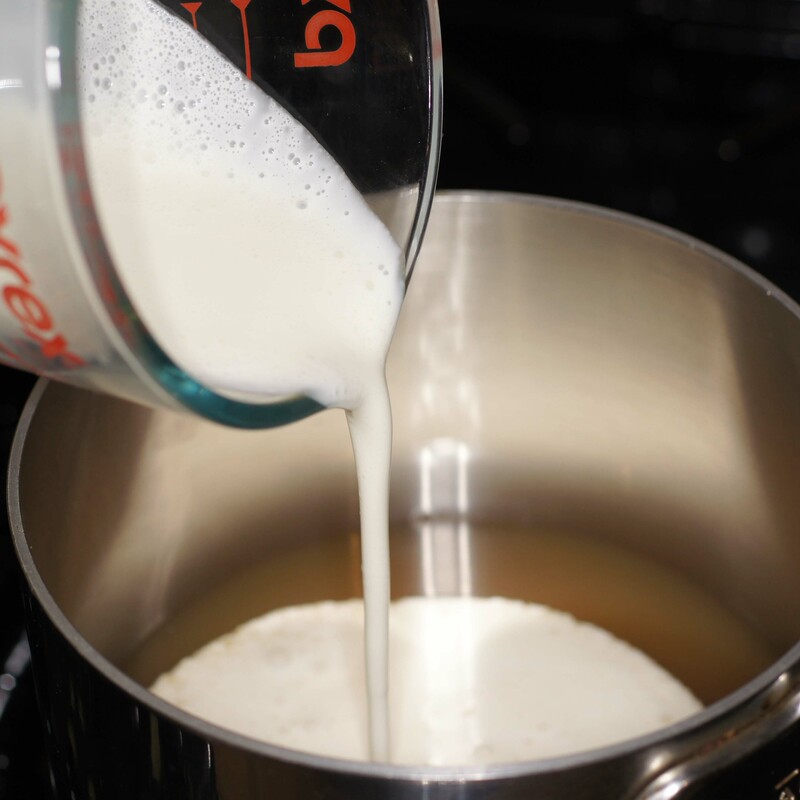 I’ve never seen cream used to cook polenta, interesting idea. I like how you completely remove the outer membrane, that’s something I’ll try next time. 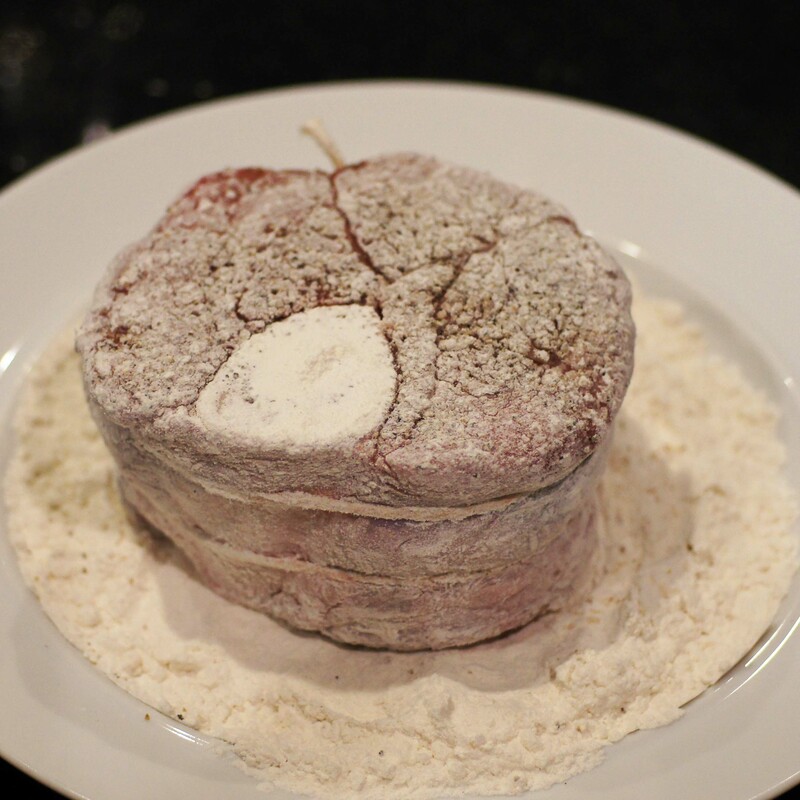 I’ll make ossobuco when the cold hits here. I was curious about the parsnip, but you cleared that one up. Great post! Thanks, Stefan. 🙂 The tomato paste shot is a little deceiving. 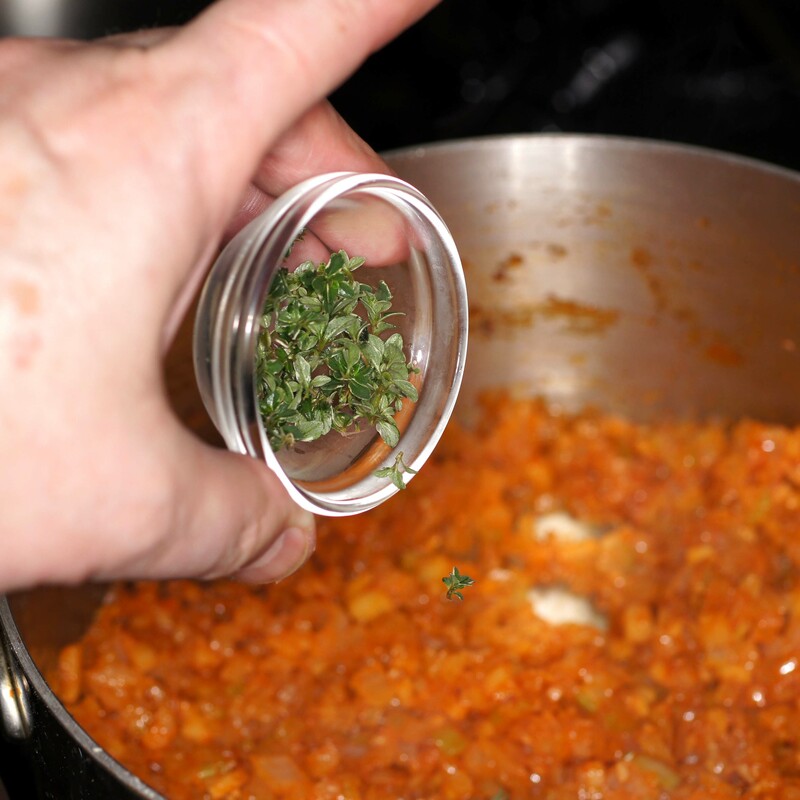 We don’t use a lot of tomato paste and buy the small 8 oz. (264 g) cans. 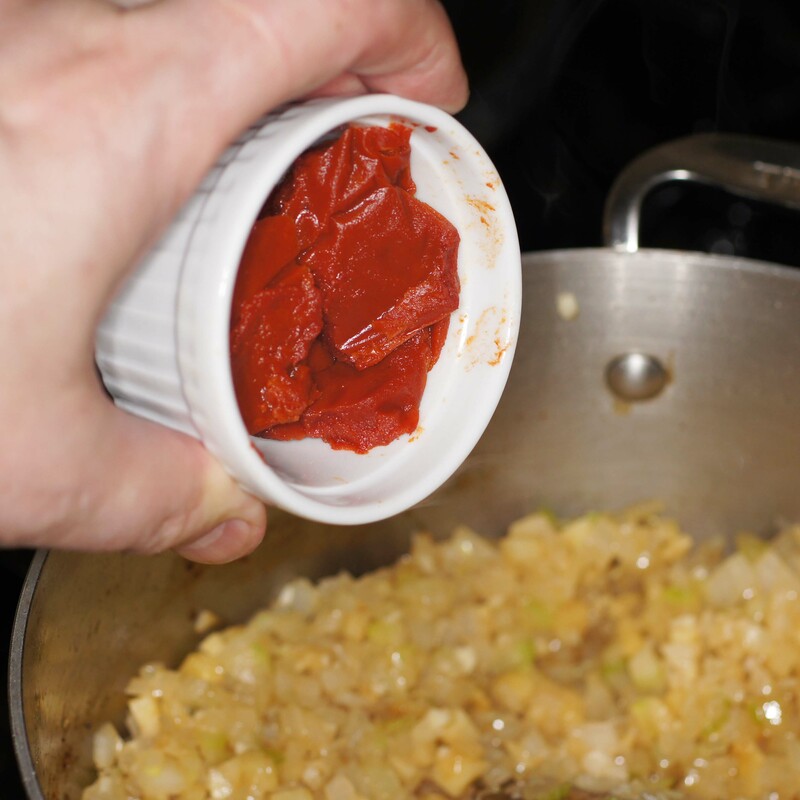 Inasmuch as most recipes call for 1 – 2 Tbsp, we always have leftover tomato paste even from the small cans. We put it in pleated sandwich bags and freeze it laying flat. 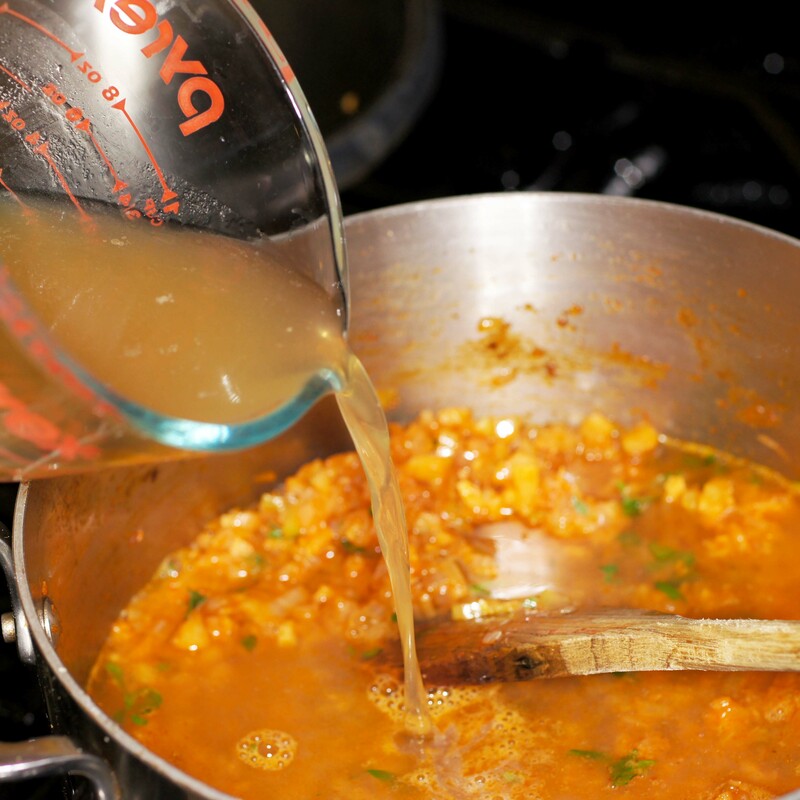 When we need it, we take it out of the fridge and break off pieces, roughly 1 Tbsp. This was the last of a bag so it had about 1-1/2 Tbsp tomato paste. I was being lazy and used all of it rather than measuring it out. It looks like more because it didn’t lay flat in the ramekin. Here tomato paste is famous for being the cheapest item for sale in most supermarkets. A tiny can of a single oz. only is 6 cents (8 US cents). 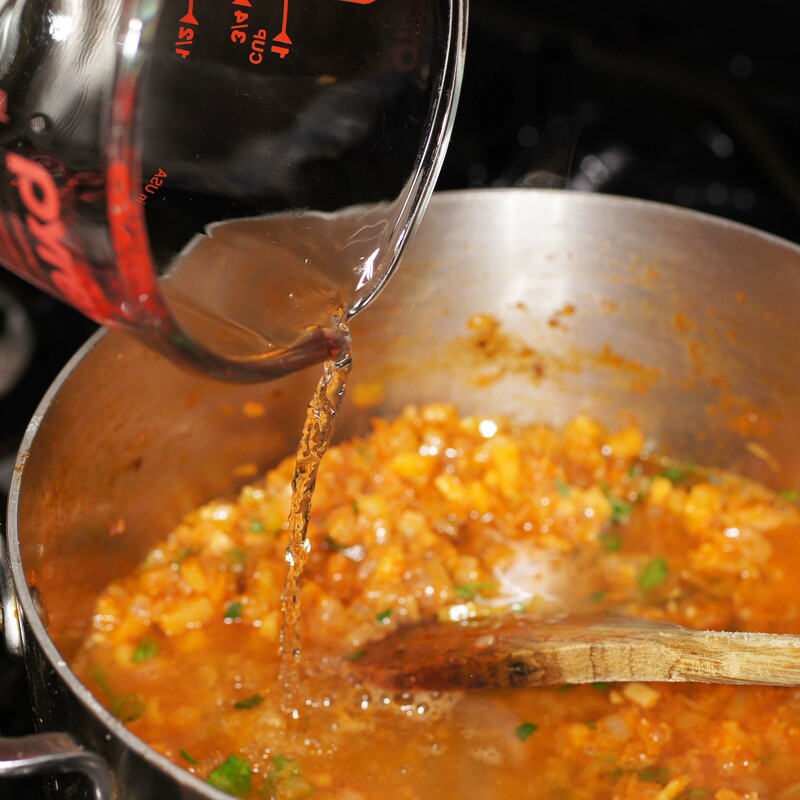 That is single-strength tomato paste, and most recipes call for double or triple strength, but I often just use 2 Tbsp of single strength instead of 1 Tbsp of double. Lucky you, Stefan! Last time I bought a six-pack of the tiny plastic pots it usually comes in here, the lot was close to $A4!! But I also oft have paste left over and that flat freezing idea of Richrad’s will be adopted!! 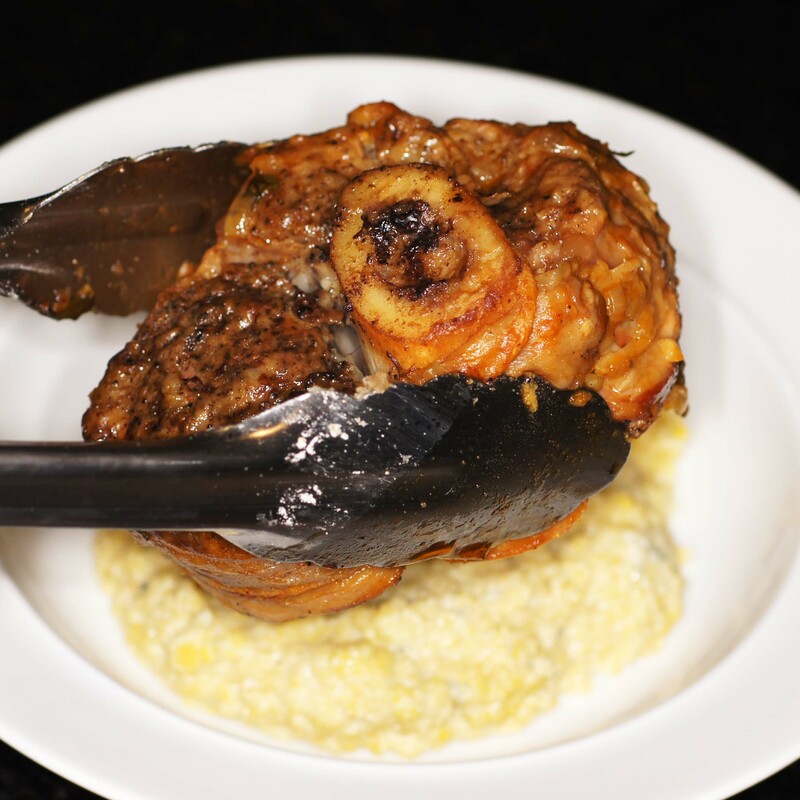 I’m a big fan of Osso Bucco, yum! Excellent looking dish Richard. The veal shanks look really good. I am intrigued by the gorgonzola polenta. That is a new one on me. Very nice indeed. Thanks, Conor. 🙂 I hadn’t made osso bucco in years and it was fun. As for the polenta, I’m always looking for ways to jazz up polenta/grits as I am not overly keen of them plain. Cheese always works well with the corn and I make goat cheese grits/polenta for various dishes. 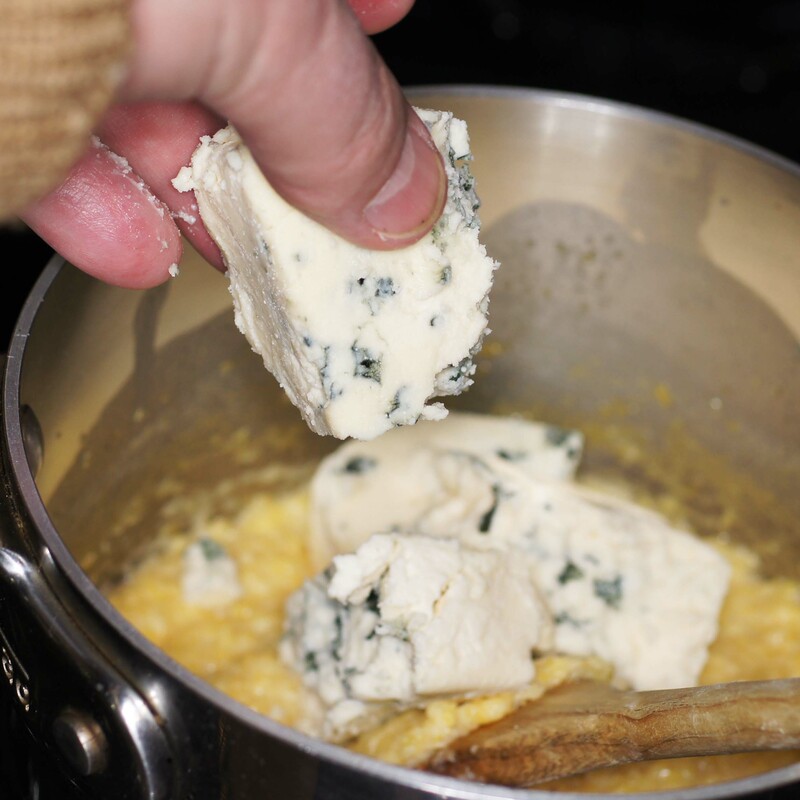 Because I love gorgonzola I decided to give it a try in the polenta and it was wonderful. 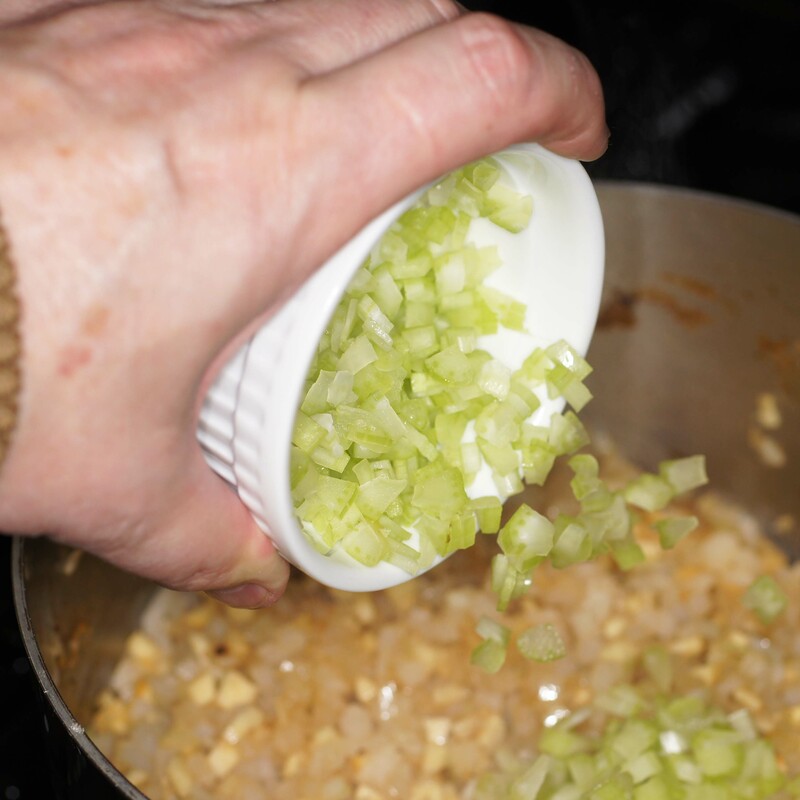 It also went beautifully with the osso bucco for a rich flavor combination. Very imaginative. For sure, polenta needs something to lift it. This is a great idea. 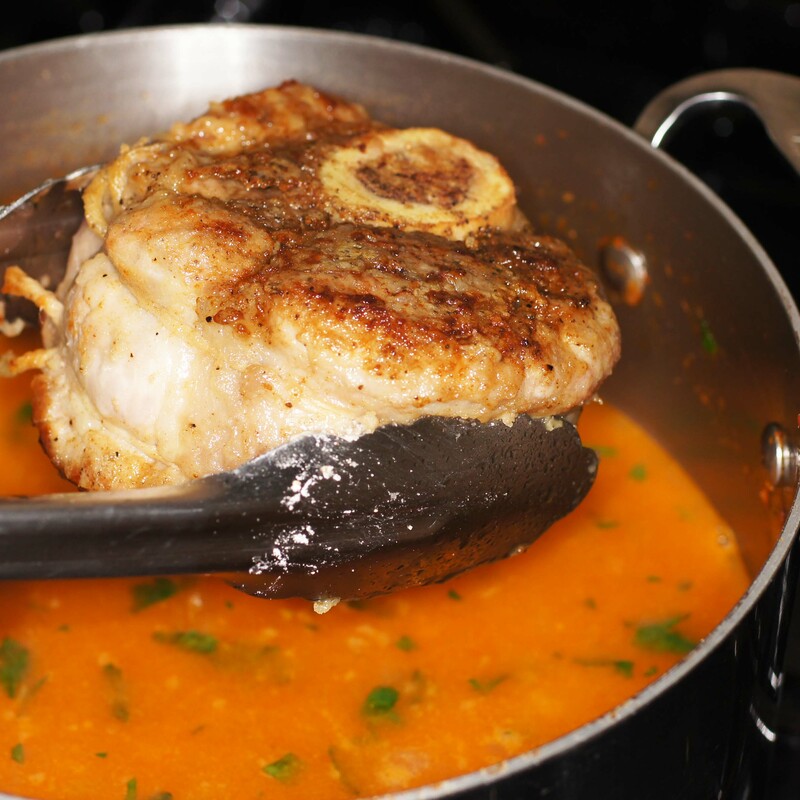 Osso Bucco is one of my favorite meals, I will try it this way for a wonderful meal. Thanks for the post. Oh this is making my mouth water! I absolutely love bone marrow, too. Beautiful presentation! So glad you survived the Iceacolypse. I remember when I was five and we were living in Dallas. There was a terrible ice storm…when everything started to melt there were incredible icicles and I thought they were wonderful. Little did I know of the problems storms like that create in Texas. 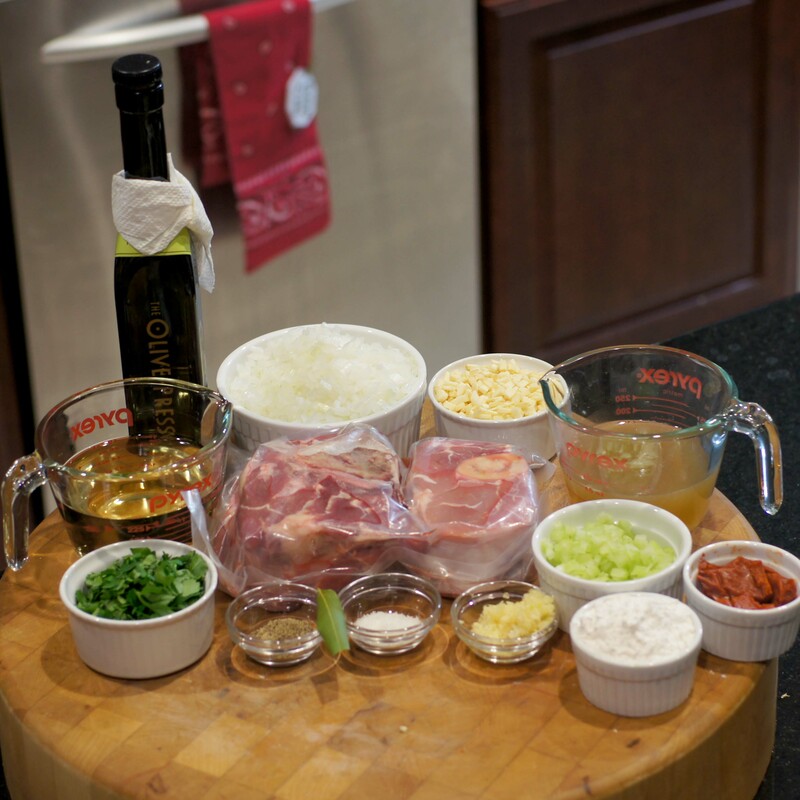 Your Osso Bucco is oneof my favorite dishes, Richard and yours looks terrific. Next time I’ll have to add Gorgonzola as your dish sounds wonderful. Wishing you and your family all the best for the New Year. This looks and sounds wonderful, Richard. 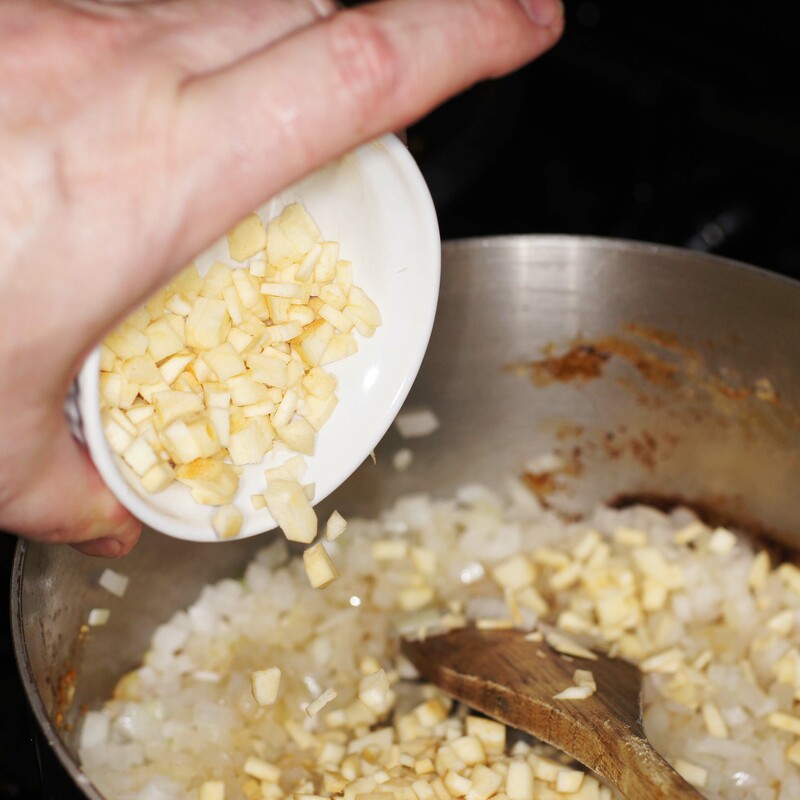 Love the idea of gorgonzola risotto. Wishing you all a most happy New Year. Wow – talk about Kicking it Up a Notch – I love this. I used to make Osso Bucco for my husband when we lived in Malta – but I haven’t seen Veal Shanks back here in the ‘wilds’ of western Massachusetts. Even at the butcher shop…. 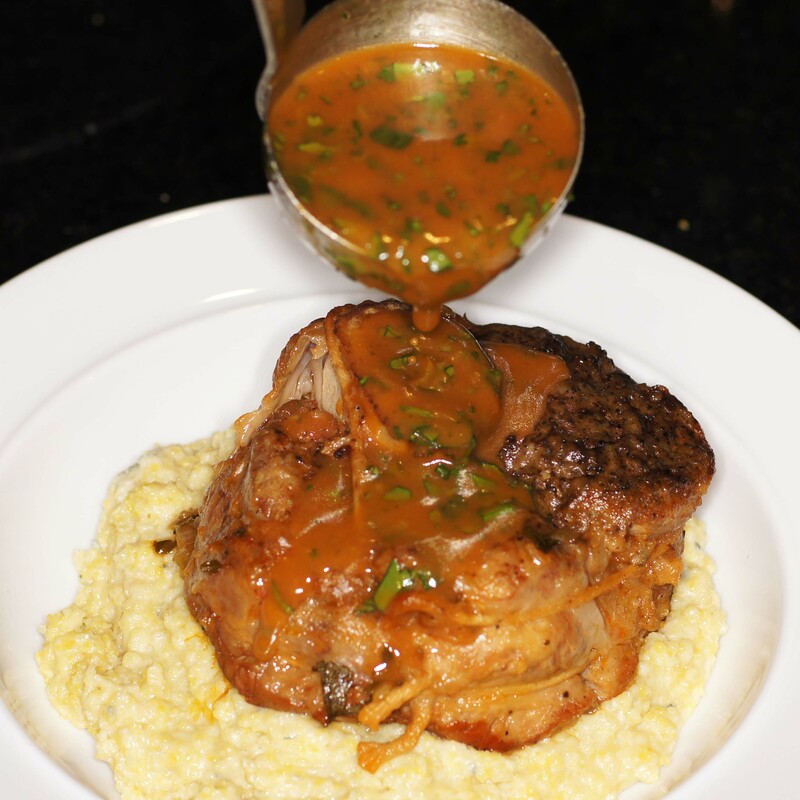 I’m so impressed with how you’ve made this – along with the awesome Polenta – that I’m going to have to try to find veal shanks!! In the meantime, I can make the Polenta ! !